Do you have an old utility trailer or a cargo trailer similar to a small U-Haul? This is a perfect item that can be used to build a micro camper that can be taken on any camping trip. The best part is the cost of the project will be less than buying a unit that is brand new. 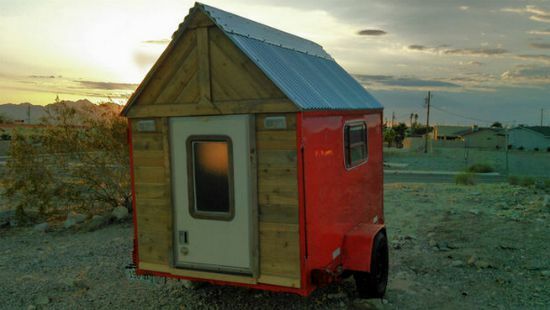 The proper tools and supplies will be needed to build a micro camper at home. You need to add a lot of features like storage, a bed, and even insulation to keep warm on cold nights. This project is perfect for you to do when you want to do a fun DIY project. You have the option to build a micro camper from new materials or from scrap materials. If you use an assortment of recycled materials, then this will help you save money. One of the most important things to always keep in mind is safety.